Self-operated control valves for stabilizing the primary steam pressure of valves. Also known as 'Primary pressure control valves'. Features a wide range of pressure adjustment settings. Self-aligning and shock absorbing spherical piston ensures high accuracy of control. Compact in size, yet large capacity. Condensate recovery (regulates the pressure inside condensate recovery lines, maintains stable trap outlet pressure). 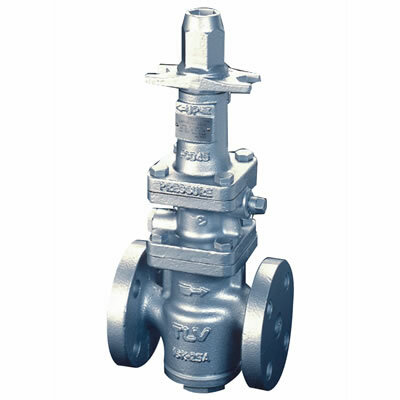 Pump relief valve (releases excess pressure, maintains stable pressure inside piping during pump operation), etc.